born in Helsinki in 1962, visual artist and architect living and working in Helsinki. He has been working as a duo with artist Tommi Grönlund since 1993. Their work has been displayed in numerous solo shows and group shows both in Finland and abroad. In 2001 they curated the Nordic Pavillion for the Venice Biennale. They are best known for their large-scale installations and interventions. 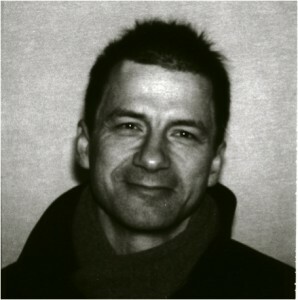 Nisunen is currently a professor of contemporary art at Aalto University, School of Arts, Design and Architecture. RELEASES The Morning Line Vol. # 1, 2011, Thyssen-Bornemisza Art Contemporary. Ash 5.8 – Freq_Out, 2003, Ash International. The North is Protected, 2001, Sähkö Recordings. EXHIBITIONS Eppur Si Muove, And Yet it Moves, MUDAM Luxembourg, Luxembourg, 2015. How to Live together, 27th Bienal de São Paulo, Pavilhão Ciccillo Matarazzo, São Paulo, 2006. Yokohama Triennale, Shin Minato Warehouse No.1, Yokohama, 2001.